According to the Russian natural gas producer, the Norwegian shipping and logistics company will handle millions of tons of LNG from Yamal. The two companies have signed an agreement which allows for ship-to-ship reloading in Norway. The agreement has a time frame of 2-3 years and will provide a temporary logistics solution for Novatek, company deputy board chairman Mark Gyetvay told Russian journalists. Tschudi Shipping Company says to the Barents Observer that it does not yet want to comment. 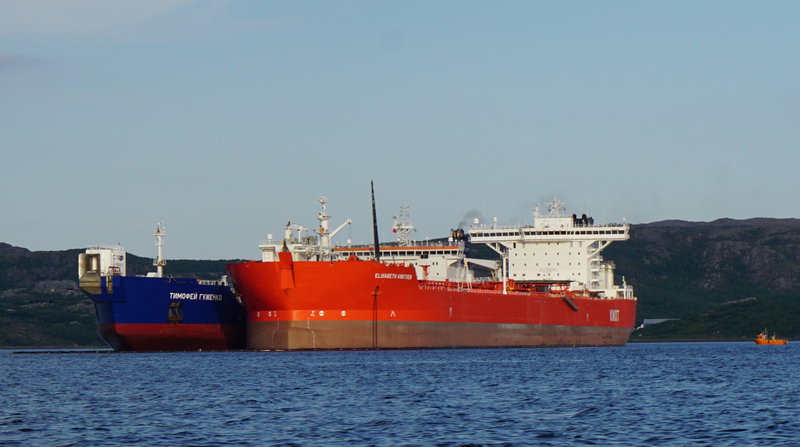 The Norwegian company owns major seaport and terminal capacities in Kirkenes, the town located only few kilometers from Russia, and has previously been engaged in reloading of Russian oil. The energy talks proceed as Novatek, operator of the Yamal LNG project, wants to bring down costs on shipments of natural gas from the ice-covered waters north of Siberia to the markets by cutting sailing distances for expensive ice-class Arctic carriers. The fleet of carriers built for the Yamal project will bring LNG from Sabetta to Norway, where the gas will be reloaded into conventional tankers and subsequently brought to west European ports. The temporary ship-to-ship logistics scheme will operate until Novatek has ready its planned permanent terminal in the Kola Peninsula. That terminal is likely to be built in Ural Guba, the militarized bay located about 50 km west of Murmansk city and will have a capacity to handle 20 million tons per year. Novatek in August discussed the Ural Guba project with the Ministry of Defense and top government officials. The Russian bay has deep and year-round ice-free waters, and is considered among the most favorable spots for shipping and logistics on the Kola Peninsula. In the mid-2000s, company Gazprom long considered to build a hub for its projected Shtokman field in the area. The local Navy base today houses several nuclear-powered submarines, including Sierra-II and Victor-III vessels. Novatek’s announced deal with Tschudi is a blow to Norterminal, a competing Norwegian company that has been in talks with the Russians over the same kind of reloading operations. This summer, Norterminal requested permission from the Norwegian Directorate for Civil Protection (DSB) to start up ship-to-ship reloading operations of LNG in partnership with Novatek. That application included up to 45 ship-to-ship reloading operations on three spots near Kirkenes and Honnigsvåg. The first operations was to start already in Mid-November 2018.